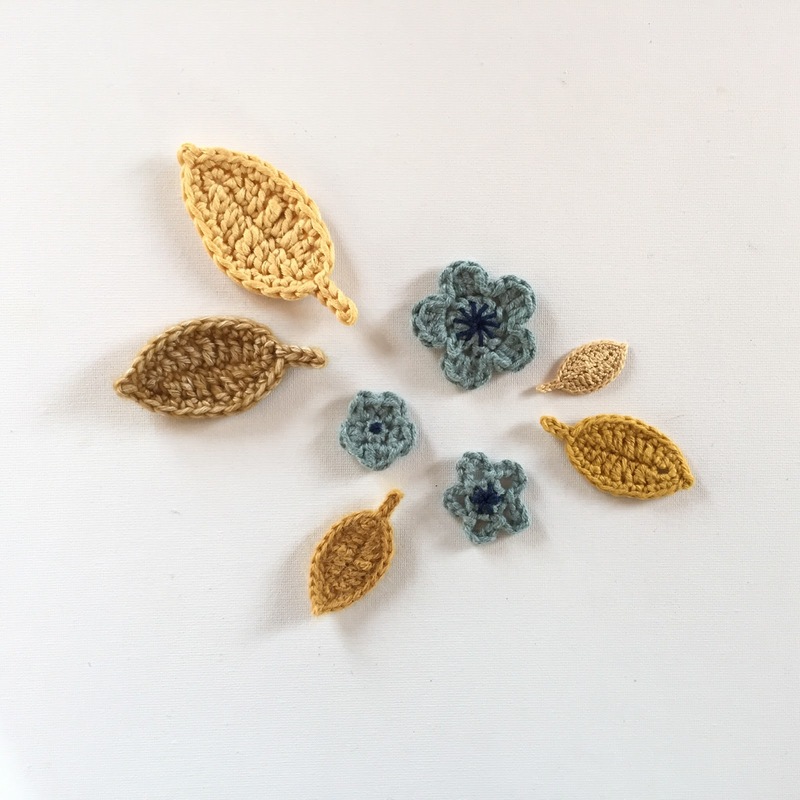 You never know when you’ll need a leaf crochet pattern, so I’m happy to share mine with you. A pretty little leaf, really quick to make. 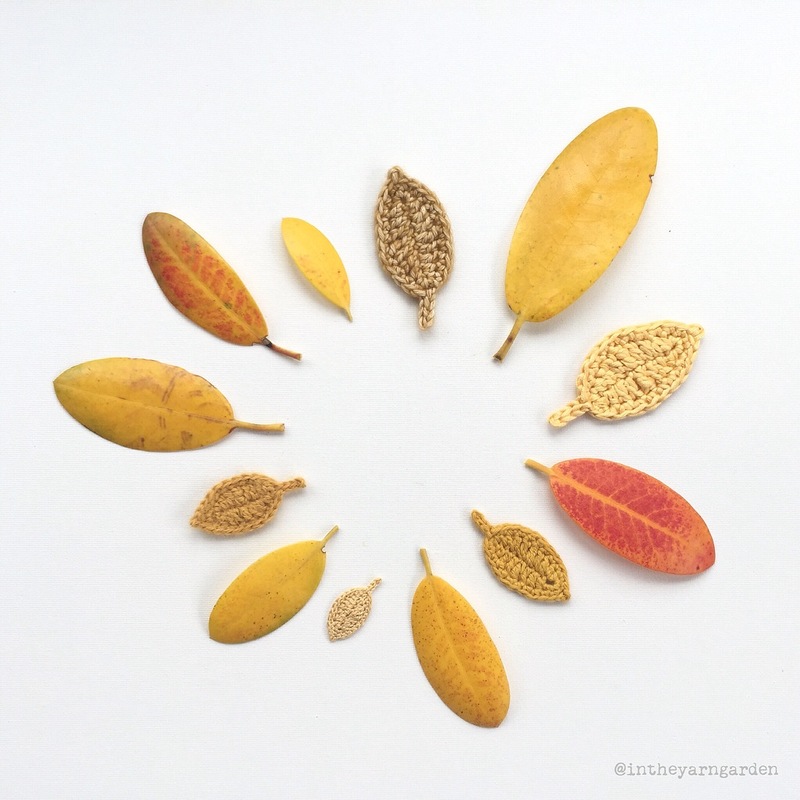 Make green ones or autumn leaves or maybe in all colors of the rainbow. 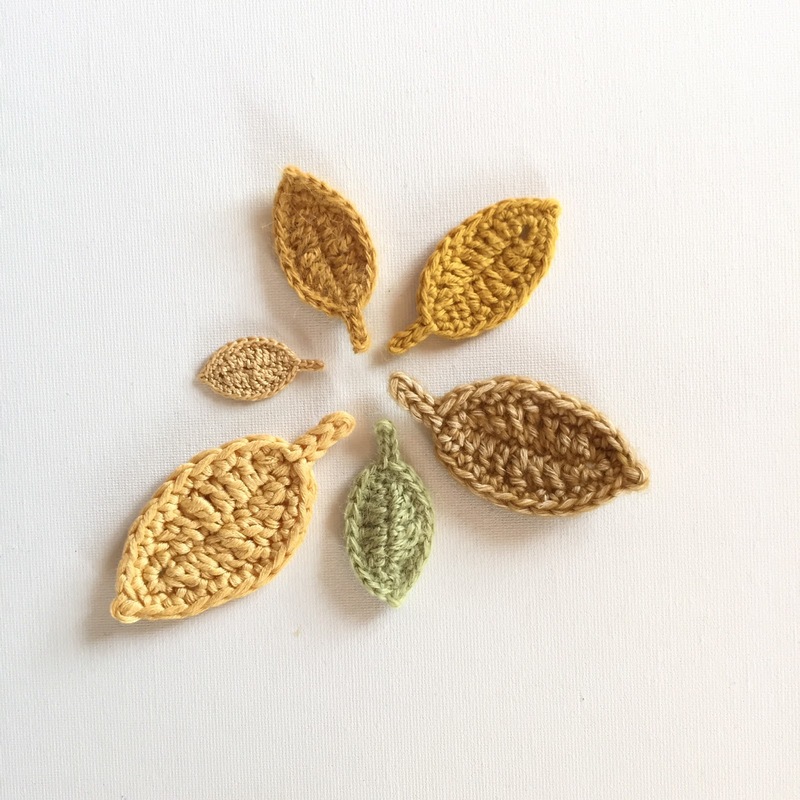 I have used small amounts of different yarn for each leaf. I have tried Scheepjeswol Stonewashed, Scheepjeswol Cotton 8, Drops Baby Alpaca, Drops Muskat and DMC Pearl Cotton 8. All of them works fine! There sizes vary from 2-5 cm long. Start in 2:nd ch from hook. 1 sc, 1 hdc, 1 dc ,1dc, 1 tr, 1 dc , 1dc, 4 sc in last ch, turn around. Crochet mirrored on the way back i.e: 1 dc, 1 dc, 1 tr, 1 dc , 1dc , 1 hdc, 1 sc. 1 sl st in last ch. ch 4, slst in 2:nd ch from hook, 2 sl st, finish 1 sl st in the last sl st of round 2Fasten ends. It would be very nice to see your leaves, so please tag images with #intheyarngarden or feel free to leave a comment with a link to your picture. :)Happy crocheting! I adore your oak leaf pattern very easy to follow with the best results………your pattern is by far the best I’ve found and I am really really grateful. Hi Lorraine and thank you! your pattern is totally awesome! so so easy to follow and make. Thanks you so much!